This plugin for Autodesk VRED builds the bridge between Autodesk VRED models and IPG CarMaker test runs. Most automotive OEM use Autodesk VRED for high-end design visualization and IPG CarMaker for the development of vehicle control and driving assistance systems. 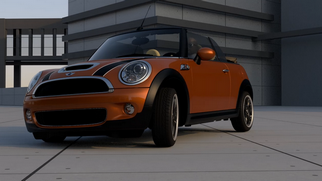 It is obvious to simply reuse existing VRED models and CarMaker test run data to combine photo realistic visualization with physically correct vehicle dynamics behavior. The plugin for Autodesk VRED allows the user to connect any existing VRED model through nVIZ VTD Server to CarMaker and drive the vehicle in the VRED session without any additional modeling effort. With access to a CarMaker license, the user can drive the vehicle interactively in the VRED session with the nVIZ seat buck or can define paths for the vehicle to follow. Using defined paths eliminates the need for any extra hardware. The internal driver model will take control and follow the path as a human driver would. The plugin also has a function to load existing CarMaker test run results files, replay the test run in VRED and save the animation to the VRED timeline. The user can then use all the functionality of VRED to define cameras, scene settings and render stunning movies in ray-tracing quality. This function is also beneficial if the user does not have access to a CarMaker license but can get existing test run data from the chassis development team.